Israeli Magistrate court banned on Thursday six Jerusalemites from entry to the Al-Aqsa Mosque compound for one consecutive month. The six Jerusalemites were detained by Israeli forces on Tuesday during predawn raids of their homes in occupied Jerusalem. According to Quds press, the six Jerusalemites were released today morning on condition of being banned from entry to Al-Aqsa for one month. Israeli police arrested on Thursday the entire family of Abed al-Rahman Abu Jamal, who allegedly carried out a stabbing attack, after raiding his family house for the second time within the same day. Abed was detained after being ahot by Israeli live ammunition, after he carried out a stabbing attack, injuring two police members in the Jabal al-Mukabber neighborhood, in East Jerusalem. Abed’s medical condition remained unknown. At daybreak Thursday, his mother was detained in an abduction sweep rocking the West Bank and occupied Jerusalem. Few hours later, Israel police returned to Abed’s house and detained his father, two brothers and sister. Eyewitnesses affirmed that Israeli police forces violently stormed the house and threatened to demolish it before they detained the entire family members. 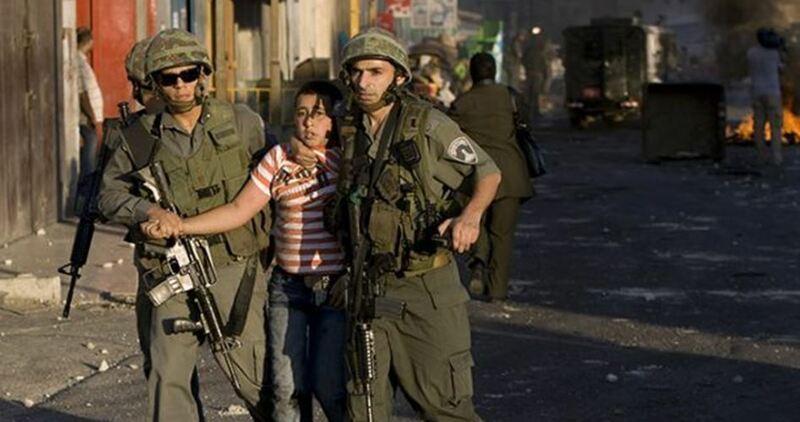 They also ordered a cousin to appear at the police station in occupied Jerusalem for interrogation, the sources added. 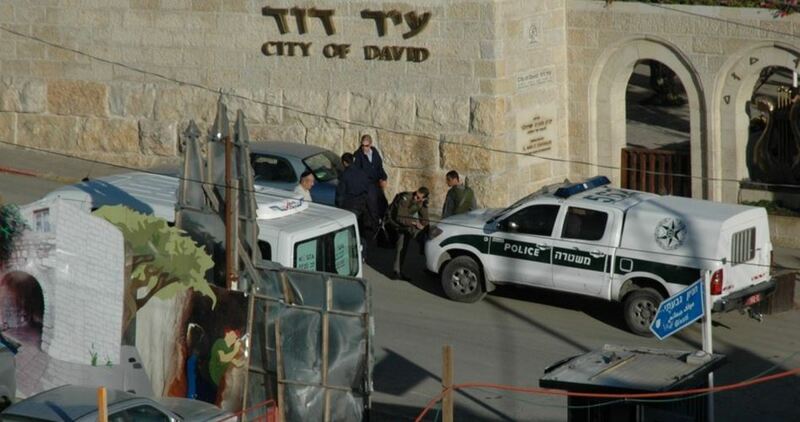 Police also attempted to raid Jabal al-Mukabber high school, where the alleged attacker was going to school. Meanwhile, Israeli forces arrested afternoon four Palestinian youths after breaking into al-Tel town southwest of Nablus. The detainees were identified as Anwar Hilmi Ramadan, Mustapha Ahmed Saleh Ramadan, Ibrahim Hussein Ali Saifi and Ali Hussein Ali Saifi. Violent clashes erupted in the town following the arrests. A Palestinian report has warned that the health condition of prisoner Yaser Rabai’ah, who suffers from Colon Cancer, has reached a critical stage. 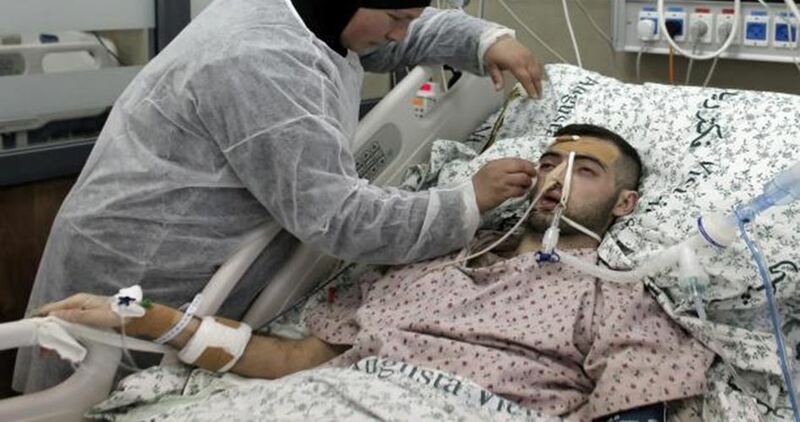 The report, which was released by the Palestinian Commission for Detainee’s and Ex-Detainees’ Affairs, stated that prisoner Rabai’ah was transferred to Ashkelon jail as a prelude to transferring him to Barzilai Hospital where he would receive chemotherapy. According to the report, Rabai’ah is exposed to medical neglect in Israeli jails and underwent surgery to remove part of his liver in 2007. The prisoner, who has been in detention since 2001, is serving life and 10 years in prison. Two Israeli policemen were injured on Wednesday evening in an alleged stabbing attack in Occupied Jerusalem. Hebrew TV channel 14 reported that two Israeli policemen were injured while the attacker sustained a moderate injury after he was shot by the police. Other Israeli media sources claimed that a Palestinian youth stabbed an Israeli officer at a police station near Jabal al-Mukaber in Jerusalem. The sources added that the police opened fire at the Palestinian youth injuring him and another police officer by mistake. A 17-year old Palestinian allegedly climbed the fence of a police station in Jerusalem Wednesday and attempted to attack the officers stationed there, according to Israeli sources. The officers shot the young man multiple times, seriously wounding him. Three Israeli officers were allegedly ‘lightly’ wounded – and a fourth was shot by so-called ‘friendly fire’ when the officers opened fire on the suspect. All of the officers, except for the one who was shot in the arm by fellow officers, were released from the hospital shortly after being admitted. According to Israeli media sources, the suspect approached the Oz police station in the East Jerusalem neighborhood of Armon Hanatziv, climbed the fence and then approached the officer stationed at the entrance. The Israeli officers were taken to Sh’are Tzedek Hospital and were all released soon after, apart from the one shot by a fellow officer. The Israeli Army invaded the home of the suspected stabber, Abdul-Rahma Ali Abu Jamal, 17, in Abu Jamal neighborhood, in Jabal al-Mokabber, south of occupied East Jerusalem. Eyewitnesses said dozens of soldiers and intelligence officers invaded the neighborhood before storming Abu Jamal home, and searching it. The soldiers also abducted Abdul-Rahman’s mother, and took photos and measurements of the home, to demolish it later. The soldiers also surrounded Jabal al-Mokabber Secondary School, which Abdul-Rahman attended, and tried to invaded it, but the students an administration protesters and foiled the invasion. The Israeli Ofer military court postponed on Tuesday the trial of the Palestinian journalist Lama Khater, 42, to 26 December. 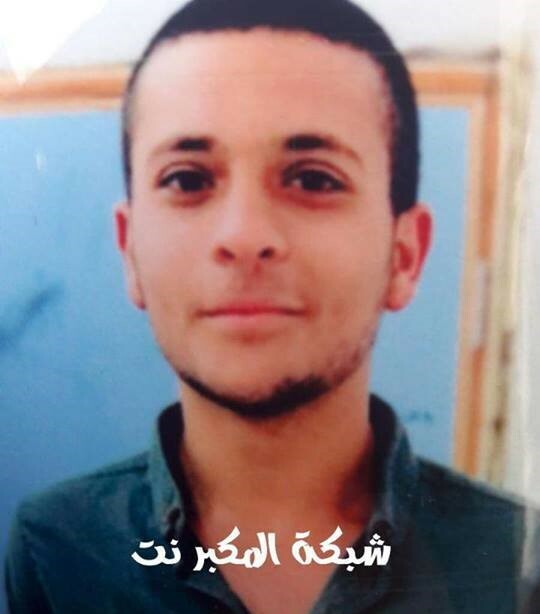 Prisoners Information Office affirmed that Israeli occupation continues to arrest Khater for five months. Khater was detained on July 24 for “incitement charge.” Since then, she was subjected to harsh and intensive interrogation . 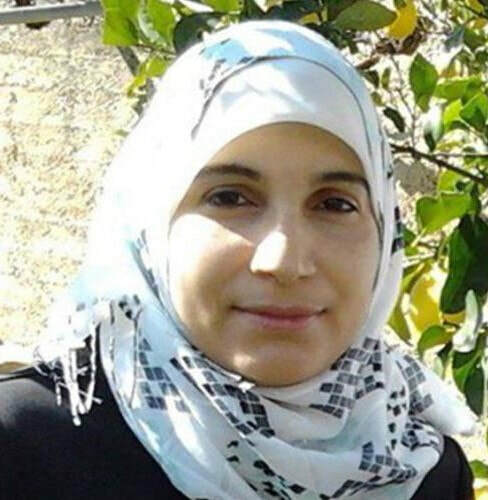 A mother of five children, Khater has rejected all charges leveled against her by the Israeli occupation authorities. 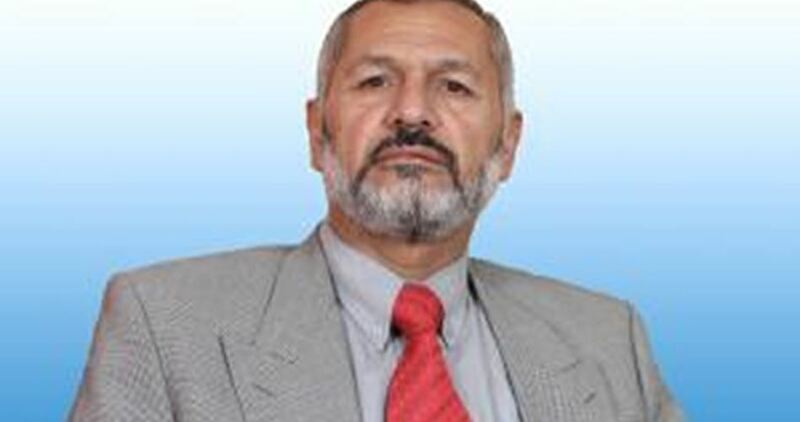 The Israeli occupation authorities sentenced the Palestinian MP Mohamed Motleq Abu Ejheisha, from al-Khalil, to a four-month administrative prison term, with neither charge nor trial. Abu Ejheisha was arrested by the Israeli occupation forces on November 7, 2018 and transferred to Ofer jail, west of Ramallah province. Apart from Abu Ejheisha, four other Palestinian MPs, including a woman, are incarcerated in Israeli prisons: Dr. Naser Abdul Jawad, Khalida Jarrar, Ahmad Saadat, and Marwan al-Barghouthi. The Israeli occupation authority (IOA) on Tuesday evening released senior Islamic Jihad official Khader Adnan, who suspended his hunger strike about two weeks ago. 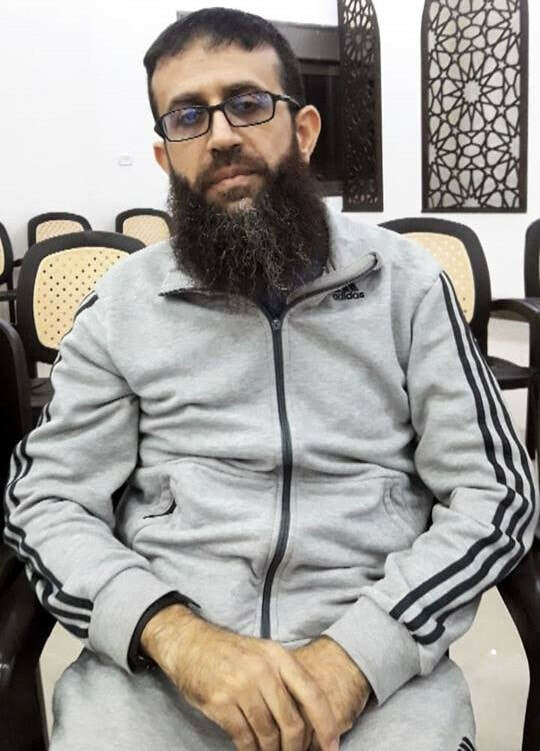 Informed sources told the Palestinian Information Center (PIC) that the IOA released Adnan after 11 months of detention, which was seen as enough by a military judge in late October. Adnan staged an open-ended hunger strike for 55 days in protest at detaining him with no trial and renewing old fabricated charges against him. He decided to end his hunger strike following pledges to hold a court hearing for him and not to renew his detention. An Israeli court on Tuesday extended the detention of six Palestinian young men after the occupation police kidnapped them from their homes earlier on the same day. 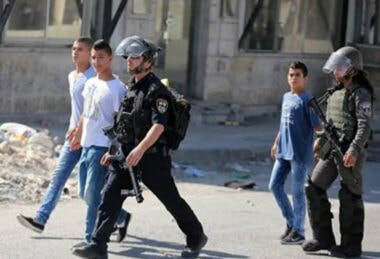 Local official Amjad Abu Asab stated that Israeli police forces stormed and ransacked several Palestinian homes at dawn in the Old City of Jerusalem and Silwan district, and kidnapped six young men. The detainees were identified as Mohamed Mounes, Jihad Qaws, Jameel Abbasi, Ruhi Kalghasi, Rami al-Fakhouri and Mahmoud Abdul-Latif. After interrogating them by the police during the morning hours, they were transferred to the Israeli magistrate court where their detention were extended until next Thursday. On Monday, the Israeli police kidnapped a Jerusalemite activist called Fadi Matwar after raiding his home and summoning him for interrogation. Another young man identified as Areen Za’anin was also kidnapped and assaulted by the police yesterday in the holy city. The Palestinian Prisoners’ Society (PPS) has confirmed that Israeli soldiers abducted, on Wednesday morning and at dawn, six Palestinians, including two medics, in several parts of the occupied West Bank. The PPS said the soldiers stormed and ransacked many homes across the West Bank, including occupied Jerusalem, and interrogated many Palestinians. It added that the soldiers invaded the Red Crescent Society building in the Suwwana neighborhood, in occupied Jerusalem, and abducted two medics, identified as Rajeh Hawarin and Mohammad Odah. In Bethlehem, the soldiers invaded homes and abducted two young men, identified as Mohammad Hasan Nawawra and Jamal Shallash. In Hebron, in the southern part of the West Bank, the soldiers abducted Mohammad Jamal Abu Zeina, while resident Zoheir Badran, was taken prisoner in Tulkarem, in northern West Bank. Israeli soldiers shot, on Wednesday morning, a young Palestinian man as he approached the perimeter fence, in the northern part of the Gaza Strip, and abducted him. 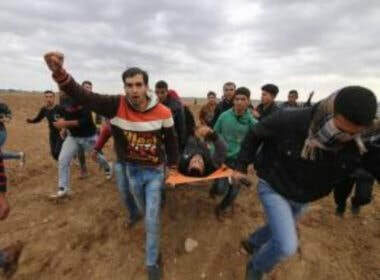 Media sources in Gaza said the young man, in his twenty was shot in his leg, before the soldiers abducted him and took him to an unknown destination. The incident is the latest of a serious of similar assaults carried out by the soldiers against the Palestinians near the perimeter fence, including farmers working on their own lands. On Wednesday morning, dozens of Israeli colonialist settlers gathered near Karem Abu Salem (Kerem Shalom) commercial crossing with Gaza, and prevented many trucks, loaded with goods, food, fuel and cooking gas, and construction materials, from reaching the terminal, on their way to Gaza. Dozens of colonists gathered near the terminal since morning hours, and stopped the trucks, for the second time since Sunday, after closing the road leading to the only commercial crossing. Israeli soldiers and intelligence officers invaded, on Wednesday morning, the Palestinian Red Crescent Society (PRCS) building in the Suwwana neighborhood, in the Old City of occupied Jerusalem, and abducted two medics. The PRCS in Jerusalem said the soldiers abducted the two medics, identified as Rajeh Hawarin and Mohammad Odah from its building, and took them to an interrogation facility in the city. 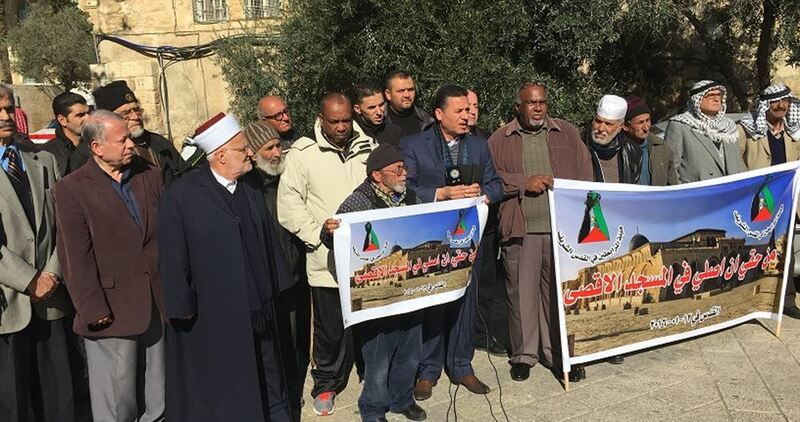 It denounced the invasion and abduction of the medics, especially since the military has been frequently invading and searching medical facilities and institutions in Jerusalem, and various parts of the occupied West Bank. In related news, many army jeeps invaded, late at night Tuesday, several neighborhoods in Jabal al-Mokabber neighborhood, in Jerusalem, especially the Schools Street. 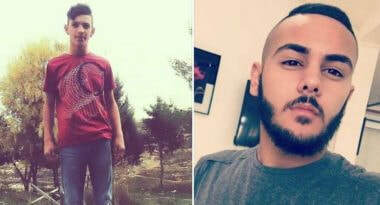 In Bethlehem, south of Jerusalem, the soldiers invaded two areas in the city, searched homes, and abducted two young men, identified as Mohammad Hasan Nawawra and Jamal Shallash.